Holy crap, it’s Star Wars Day! 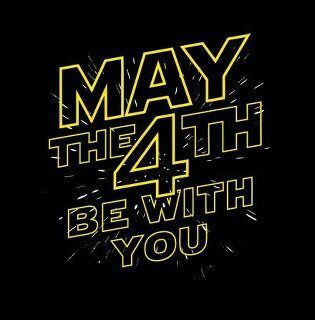 That’s right, Star Wars Day. It’s the day where the ladies (and fellas) can wear the Princess Leia costume, complete with the cinnamon buns on either side of your head, out in public and no one will blink an eye. I can’t promise that last, but I know that there will be a Star Wars party or two within driving distance. mom) but I was wearing black Pro-Ked sneakers and probably some horrible 1970s kids’ outfit. What stands out the most for me in memory is the cantina scene – all those fantastical creatures…and they were moving and walking around! Talking even! I mean, I watched the Muppet show every night and had been to Disney World, but this was something even better than King Kong! And that Halloween, my costume was Darth Vader. Eff a princess…why not be a guy who could choke people from twenty feet away. Yeah, I guess I was an evil kid…. Yes. I have one of these. It’s at my mom’s house. the Jedi, which I stood in the rain, waiting in line to see. 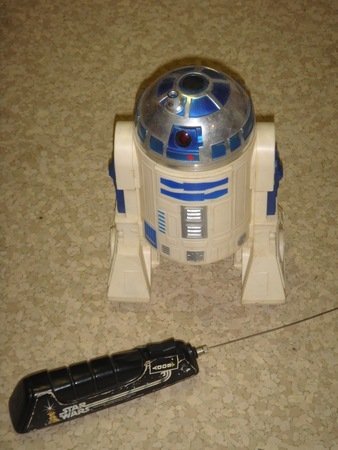 I also have a remote control R2D2. Dear readers, let me stop prattling on about my life and get to the real meat of the matter: Celebrate! 2. Dress up your dog up as an Star Wars AT-AT Walker. 5. Like Yoda for the entire day, speak. Stop by my blog! 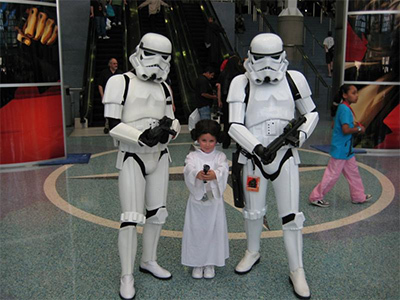 http://thesultryscribe.com for more Star Wars cosplay pictures and more ideas for celebration of this day.